Call me lazy, but I love a meal that can pretty much cook itself. 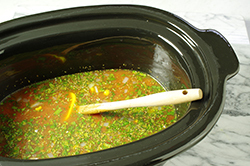 I also love turning classic meals into a hearty bowl of soup, and the slow cooker allows me to do both. 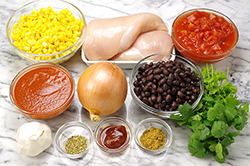 For this dish, I took my standard chicken enchilada recipe and threw the ingredients into a slow cooker. What emerged a few hours later was this delicious, chunky soup that I topped with cheese, scallions, cilantro, and avocado. If I don’t have avocado, I add a touch of light sour cream or crushed chips on top. 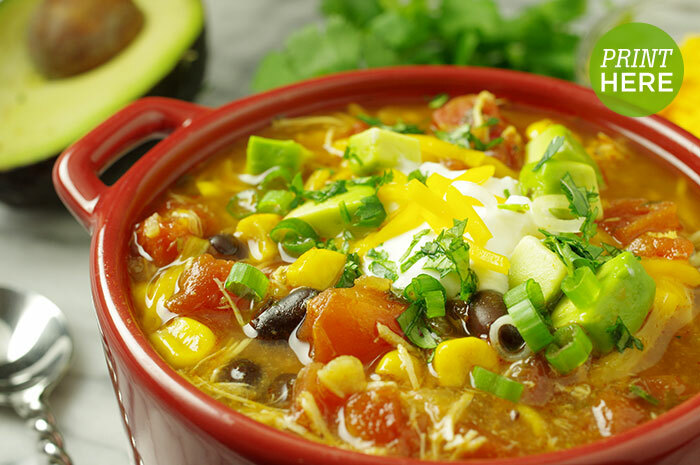 It’s everything I love about enchiladas in one neat bowl! 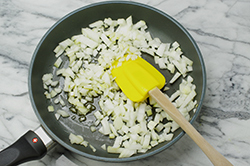 For the soup: In a medium nonstick skillet, heat the oil over medium heat. 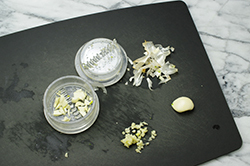 Add the onion and garlic and cook, stirring, until soft, about 3 minutes. 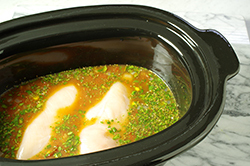 Add to the slow-cooker along with the broth, tomato sauce, chipotle in adobo, cilantro, beans, tomatoes, corn, cumin, and oregano. Add the chicken breasts. Cover and cook on low for 4 to 6 hours. 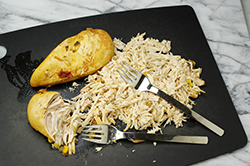 Remove the chicken, shred it with two forks, and return it to the slow cooker. 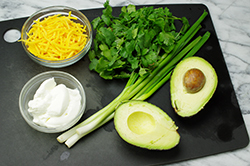 For the toppings: To serve, ladle into 6 serving bowls and dividing evenly, top each with 2 tablespoons of cheddar, scallions, cilantro, avocado, and sour cream (if using). 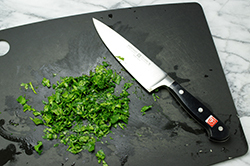 If you’re not a fan of the smoky taste of chipotle peppers, you can replace them with other spicy chiles, such as jalapeños or serranos.